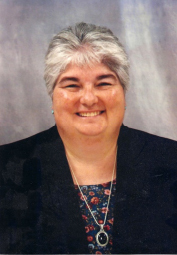 This award is named after a pioneering lay leader, who, among many roles and offices she held, was a founder and mover of the pension plan for clergy in the U.S.
JUDE LITZENBERGER joined MCC San Diego (California, USA) in 1991 and has been a leader ever since. She led the Couples Group, the Social Justice Ministry, and has been an educator, advocate, lay delegate, and member of the Board of Directors. More recently she has been a member of the Stewardship Team. She has been involved with Justice Overcoming Boundaries and the San Diego Uptown Faith Community Service Center. She served on the Southwest District Committee, volunteered for her Region, and is now a Network Leader for the Southern California/Nevada Network. Jude served on MCC’s Judiciary Review Team and is now a member of the Judicial pool for MCC internationally. Jude is an outstanding and faithful lay leader and has supported pastors and other lay leaders in her many roles over the years. This award is named after one of the very first MCC clergy serving at MCC Los Angeles, California, (USA) who became part of the first Board of Elders, who served as Treasurer of MCC, and who contributed a great deal to MCC’s Statement of Faith. REV. 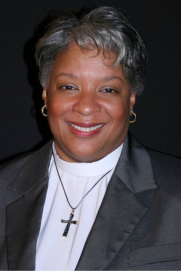 CANDY HOLMES serves MCC in a variety of ways as a clergy leader. She has been a key leader and organizer of the People of African Descent (PAD) Conference and the PAD movement on an ongoing basis. Candy currently serves as MCC’s Program Coordinator for the People of African Descent program. She also serves the Moderator as the official liaison to The Fellowship of Affirming Ministries and assists with special events, MCC/Fellowship conferences and joint projects, in addition to major roles at General Conferences. She has a preaching and healing ministry that she was encouraged to pursue by the late Rev. Elder Jeri Ann Harvey. Candy works for Marriage Equality through MCC’s Public Policy Team and is a member of the Leadership Advisory Council for the National Black Justice Coalition. 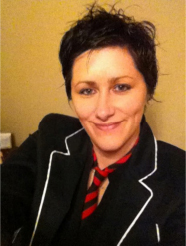 Candy is a co-founder and spokesperson for NoWedge2012.com – a campaign to counter the “divide and conquer“ strategies used to create a wedge between the LGBT community and Black America. Candy has done all of this as a volunteer of MCC, while also being out in her job with the U. S. Federal Government, speaking with U. S. President Obama, and testifying before Congress about equal rights for LGBT federal employees. With the success of the Marriage Equality battle in Maryland (USA) in 2012, Rev. Candy Holmes, as the key spokesperson, has changed history! This award is named for a sermon still preached by Rev. Elder Freda Smith, the first woman ordained in MCC and elected an Elder. It is given to persons who have a passion for Evangelism and who share the vision and message of MCC in creative and innovative ways. REV. 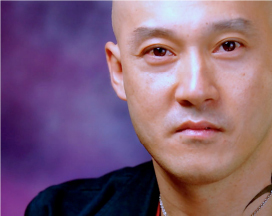 BOON LIN NGEO is a clergy person on staff at MCC New York (USA) and also a well-known author in his home country of Malaysia and all over Asia. He has written about LGBT rights, religion and MCC, and he has traveled all over Asia for many years helping LGBT Christians and activists understand the message and ministry of MCC. Boon holds spiritual training retreats in China and is instrumental in founding gay Christian fellowships in Beijing, Xiamen, and Chengdu (all in China), in addition to an MCC church in Kuala Lumpur. Boon led a press conference in Hong Kong in 2012 for openly LGBT and affirming pastors, and was the first public figure to have a gay wedding reception in Malaysia. The event was widely reported by the media in Asia, as well as by CNN and the New York Times. Boon does this work largely as a volunteer with the support of MCC New York and the Global Justice Institute, and now with MCC’s Office of Emerging Ministries. REV. DR. TONY THIEMAN-SOMORA and Heartland MCC, a family-size church in Springfield, Illinois (USA), are carrying the message of MCC to new cities in the central part of the state. They have created three emerging ministry sites that are serving the cities of Peoria, Bloomington-Normal, and Jacksonville. During the time they have been expanding their sense of mission, the Heartland Church in Springfield has grown. Tony is paid parttime, and the church has been able to increase his hours as their reach has expanded. 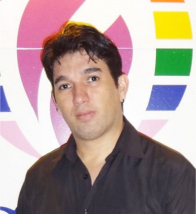 CÉLIO CAMARGO is the Interim Lay Pastor of ICM Maringá / PR in Brazil. 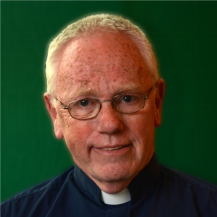 He has proven his ability to be a very effective pastoral leader, as well as a champion for social justice. One of Célio’s major accomplishments has been to establish the “Unconditional Love Housing Center” for homeless youth. It is his hope that he will be able to provide life skills training to these young people so that they are empowered to take care of themselves when they leave the Center. The ministry is recognized in the LGBTQIA community and also the larger regional community. This is evidenced by the attention and praise the Catholic Archbishop has bestowed on Célio and the church, an important connection in Brazil! Célio repeatedly shares the message of the radically inclusive gospel of Jesus to all who will listen. On several occasions, he has been sought out by the media to speak out on the issues impacting the LGBTQIA community. Célio and the ministry of the church are held with deep respect and high esteem as they offer and witness to the transformation in the spiritual lives of the whole community. REV. JIM LYNCH celebrated twenty-five years in ministry in 2012. During that time, he served churches in Florida, Illinois, and Michigan. 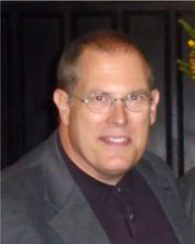 In the aftermath of a tragic situation in Michigan last year, culminating in the death of the long-time pastor of MCC Detroit, Jim stepped in and has done a wonderful job in connecting the church to MCC resources and offers of assistance from many places. Jim has been a faithful and wise interim pastor and has helped MCC Detroit discover ways to deal with the grief, while looking forward in faith, in this — their 40th year. Jim has used the skills of a lifetime of MCC pastoring to help a church that has a long, proud history in Michigan to recover and to prepare to face the future with hope. REV. DEB DYSERT receives the Distinguished Service Award for her pastoral leadership as associate pastor at MCC Detroit over the years and especially in this last, very challenging year. MCC Leadership wants to acknowledge that Deb, who also teaches full-time for a living, has offered outstanding pastoral, educational, and preaching support to MCC Detroit, along with Rev. Jim Lynch and lay and other clergy leaders. 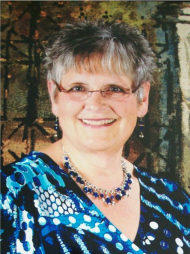 Deb has also served Divine Peace MCC, in Pontiac, Michigan (USA), as pastor and has offered pastoral care to churches and pastors over many years of ministry. This award was first given at General Conference in Acapulco (Mexico) in 2010. This year MCC Leadership awards two young adults who have made a difference. REV. 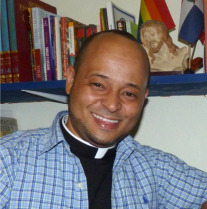 WILKIN LARA is the first homegrown pastor of ICM Santo Domingo who trained in a Catholic Seminary and was mentored by Rev. Tania Guzman. Under Wilkin’s leadership, the church has moved into its own space in old town Santo Domingo and hosts many community groups, including the first PFLAG. In addition, Wilkin was the leader in ICM Santo Domingo’s efforts on three relief trips to Haiti after the devastating earthquake in 2010. The church he pastors has a large Haitian community, and that work is ongoing. Also, this year, ICM Santo Domingo has begun to reach out to a new MCC community forming in Santiago. They have a passion to be the “Mother Church” for MCC on the island of Hispanola. Since the beginning of the CRAVE young adult movement in Australia, NATASHA HOLMES has been part of leading worship. She is a gifted musician with dozens of her own compositions as a young, contemporary Christian artist. She has worked with other young adults to continue exploring strategies for reaching young adults for MCC all over the world. Natasha has participated in MCC Conferences and has worked hard to find a way to build a repository for music that has been and will continue to be created by MCC young adult musicians. Additionally, Natasha served as a Resident Artist at Resurrection MCC in Houston (Texas, USA) for three months, where she provided oversight for the music ministry and recruited young adults to the music program. Natasha is currently associated with LifeJourney Press in Indianapolis (Indiana, USA) to make her music available to all. She also sponsors a website that features her music, as well as that of other artists.